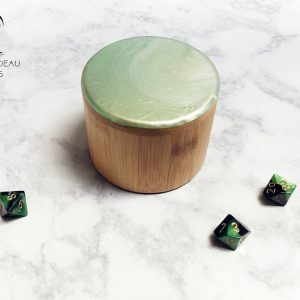 This beautiful bespoke Divided Dice Box is a part of our Eco Line of environmentally responsible gaming items. 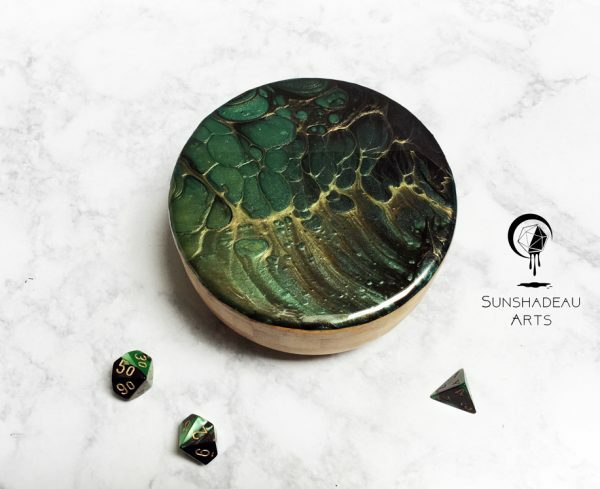 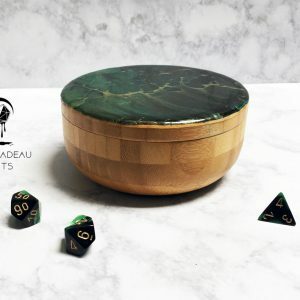 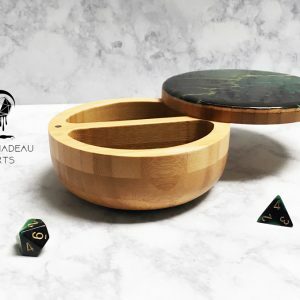 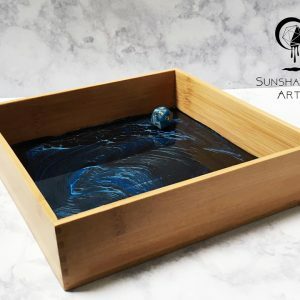 This round bamboo dice box has a divided interior with a hand painted poured acrylic and resin design on the lid. 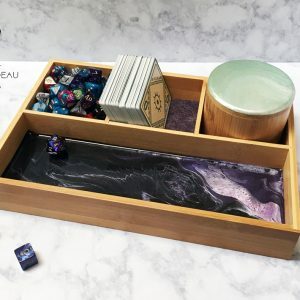 Box holds approximately 36 dice. 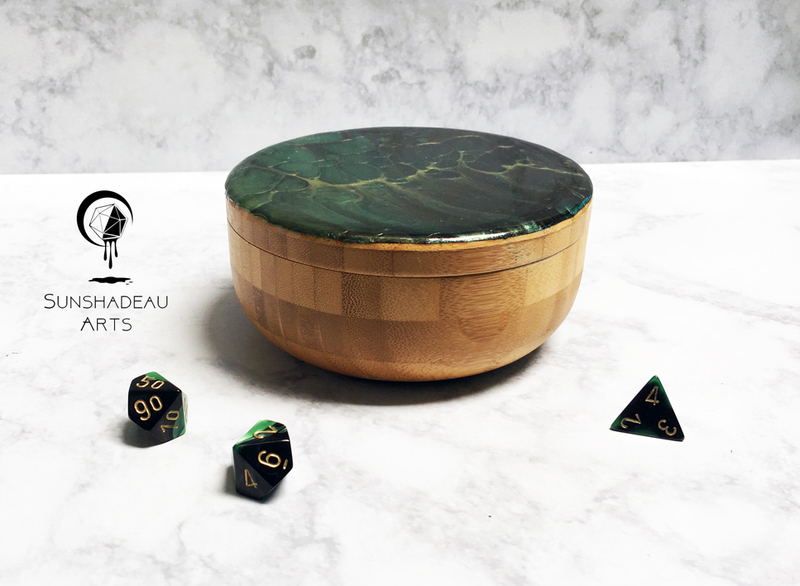 Each dice box is hand painted and completely one of a kind. Makes a beautiful addition to any decor or gaming set. 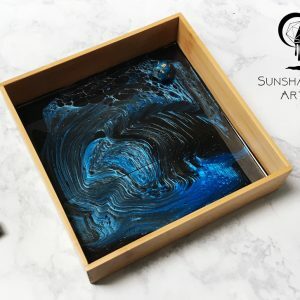 Select an acrylic pour color from the drop down menu to see a larger image of that color. 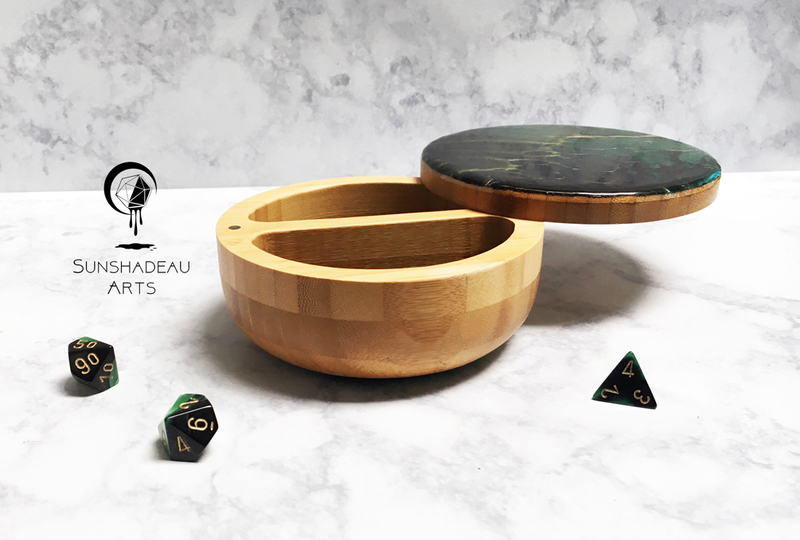 All bespoke items are created on a rolling queue system. 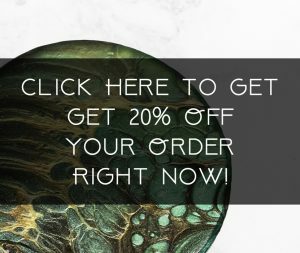 When you place an order, it will be added to the bottom of the queue. 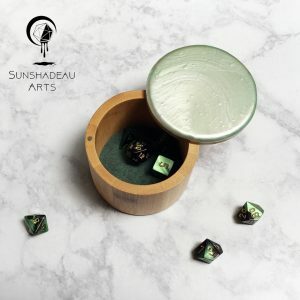 The wait time is typically 3-4 weeks but can be longer. 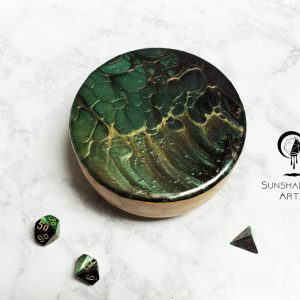 If you would like to confirm the current wait time, please feel free to contact us. 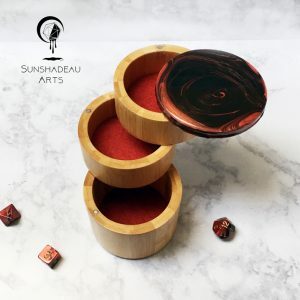 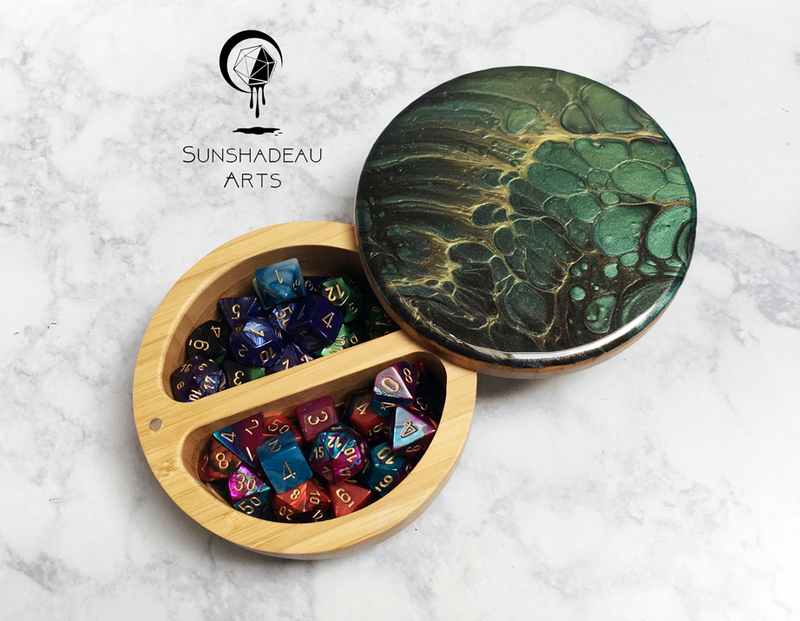 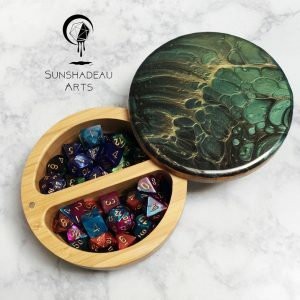 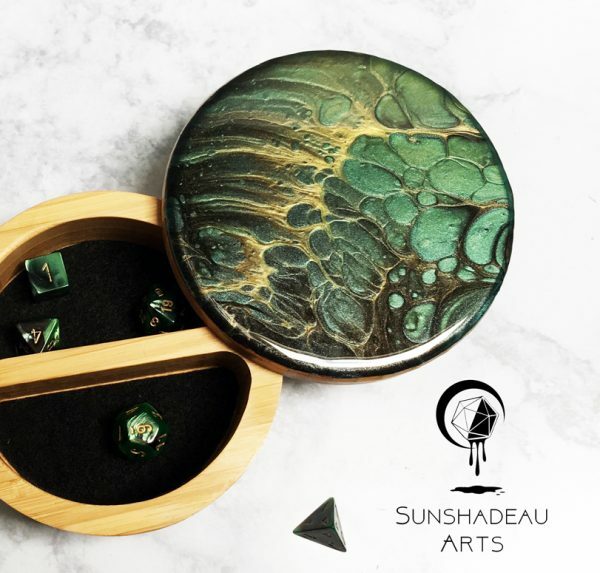 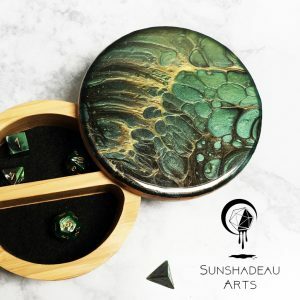 Choose the pour color combination for the exterior of the lid from our selection of exclusive Sunshadeau Arts pour colors inspired by Dungeons and Dragons monsters. 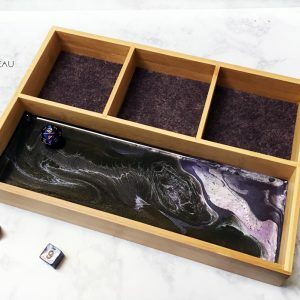 Bottom of box interior and exterior are felt lined. 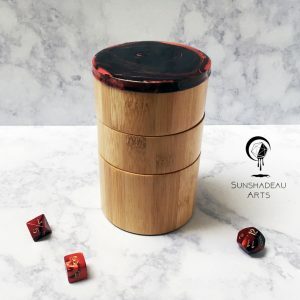 Lid rotates on a pivot and has a magnetic closure.